Author Spotlight: Vannetta Chapman | And a SURPRISE GIVEAWAY! Actually A Simple Amish Christmas was the 9th book I wrote and the first book published – so take heart! I still think those other 8 novels are good books, and in fact I am publishing one of them as an indie book this month. – Can you tell us a bit about what inspires you to write both Cozy Amish mysteries and such wonderful Amish Romances? I do enjoy writing about the Amish. I think their lifestyle is very close to that of our grandparents, and also they remind me of simple country folk that can be found all over our country. – Would you mind sharing with us how many rounds of querying you went through before getting that “YES!” or if you went about it a little differently…? Oh my. I sent out a LOT of queries. I could have easily wallpapered a room with my rejections, and I am NOT exaggerating. Honestly, I think it was a matter of hitting the right agent and the right publisher at the right moment–which has to be a God thing. OUR PART, in my opinion, is to keep the faith, keep writing, keep learning, and keep submitting. – You released “A Simple Amish Christmas in 2010, “Falling to Pieces” in 2011 then “A Perfect Square”, “A Promise For Miriam” and “Material Witness” in 2012. That sounds like a bit of a roller-coaster ride. Is there an interesting story in there or just interesting timing on the publishers part? Yes, I was writing for 3 publishers at once, and it was a bit of a roller-coaster. Fortunately my agent helps to work out the coordination of those contracts, and the publishers are very understanding about my timelines as far as when I can get a book in to them. I do enjoy writing in two different sub-genres and now I’ve added inspirational romantic suspense to the mix! Absolutely. Keep writing! (I might have mentioned that before.) The biggest mistake I see is when writers finish their first book they stop and tinker with it, or simply wait for a publisher to pop up and offer them a contract. With each book we write, we learn new skills. It’s important to attend classes, workshops, critique groups–whatever helps you to grow as an author. And above all–keep writing. Thank you for having me. I’d be happy to answer questions if anyone has a question. Feel free to post them in the comment section. Keep reading for details on the giveaway. What do I write? If I had to reduce it to four words, I suppose I’d say I write Fiction full of GRACE. After graduating from college, launching into a teaching career, re-establishing a family after a painful divorce, and writing nine novels, Vannetta Chapman knows the meaning of a challenge. However, since so many others also face the challenge of balance, she sees herself as like everyone else. God used the pain to help shape her life and her writing. Thankfully, Vannetta Chapman’s parents have always been supportive of her in all she’s pursued. During her years as a single mom, God used the pain to help shape her life and her writing. He showed her His grace and love, and confirmed to her His plan and purpose. Eleven years ago, she met and married her husband, and she wouldn’t be the author she is today without his love and support. HIDDEN is an inspirational romantic suspense scheduled for release on September 30th. **This book will be available in print and ebook format through all standard vendors. Don’t forget the next installment of her new Amish Village Mysteries! This next installment is scheduled for release December 16th! I know I can hardly wait! When a local Amish man is found dead, the Middlebury Amish Artisan Village comes under suspicion. Two amateur sleuths—one Amish, one English—will have to work quickly to keep fear from dividing their community. As fall blankets the Pumpkinvine Trail with leaves of brown, gold, and orange, a local Amish man is found dead on the path. The only clues to the murderer’s identity point in two very different directions—toward the local survivalist group and toward the Amish Village—specifically the village’s knitting shop, The Cat’s Meow. The police call in a federal investigator, and he quickly puts everyone on the suspect list. Amber Bowman and Hannah Troyer know who isn’t guilty—they know this community down to the last buggy, but can find the guilty party before someone else is in danger? While Hannah helps Amber solve the mystery, she and Jesse Miller continue courting. But when Jesse’s prodigal brother returns to their farm, Jesse becomes distracted by family troubles. He and Hannah will have to overcome the tension in order to keep their relationship alive. And Amber and Hannah will need to work quickly to solve the murder mystery and bring harmony back to the Amish community. Vannetta recently announced that her 3 Shipshewana Mystery Novels are being compiled into 1 volume! Don’t we all just love having three books we LOVE in one place! The eBook version is already available for Pre-Order at Amazon HERE! And… we don’t have much information yet but I know I’m excited about this series to come! Where will you start reading? Vannetta Chapman is a particular inspiration to me for a couple of reasons. She was a single mom during much of her writing career and I personally relate to that as, I’m sure, do many of our readers! And… she was another author who was presented with the idea to write Amish fiction – a genre she had no real experience with – but her wonderful agent convinced her it was a good fit for her so she went right to work researching and writing. And I don’t know about you but I think her stories are just AMAZING! GOD BLESS YOU VANNETTA! And may you continue writing for years and years to come! to ONE of our readers! Click HERE for a complete list of her books! First you have to SHARE this post! You can share it on the social media site of your choice! Then come back here and post a comment below with the link! Click HERE and share our Facebook Post. or on the FB post itself. The contest will run from today until September 14th. rules and regulations for all contests can be found HERE. and another if you FOLLOW our blog! Thank you for being on the blog! I’m so thankful. Your interview is so enlightening and I feel that your story is going to be such an inspiration to aspiring or beginning writers! So love your books Vannetta! Would so love to win one! Thank you for the opportunity to win.I enjoy reading Vannetta’s books. I am a new reader of Vannetta Chapman. I love her books. I have 8 of her books on my kindle, on my 4th book right now. If I win I would love to get ” A simple Amish Christmas ” if not I will get it on my kindle when done with what I have. I have read this author and like her style, surprised she had lot rejections at beginning. thanks for sharing the interview with us…I adore reading amish stories and have found lot of authors that write them, now Reading one by another author. Would like to be in drawing for one of Vanetta’s books -it has been awhile since I have read them. I want to win a book I have read many of your books, also if I don’t win I will still be happy for who ever does thank you for this chance. I cannot wait until your new book Tightly Knit comes out! I love reading all your books and I appreciate the time you took to answer these questions and let us get to know you better! Shared this with friends! I would love to win one of your books that I haven’t already read. Thanks for the chance and always sharing things on Facebook with your fans. I shared on Facebook . I love Vannetta Chapman’s books. I do not have them all but working on them. She has 2 new ones that is coming out later on and they sound so good. I loved the review and would love to win one of her books . Thanks for the chance. Really enjoyed getting to know more about Vanetta and her books. I appreciate her advice to new writers and look forward to maybe one day meeting her at an ACFW conference-this year’s will be my first! 🙂 Oh, and I shared this on my twitter too. Great interview! Love learning more about my favorite authors and how they write. I like your books and I shared on FB. Thanks for your giveaway. I know this sounds like “a line” but it is the absolute truth. I love, love, love ALL of Vannetta Chapman’s books, and can’t wait to read “Hidden.” I really enjoyed this interview. Thank you! 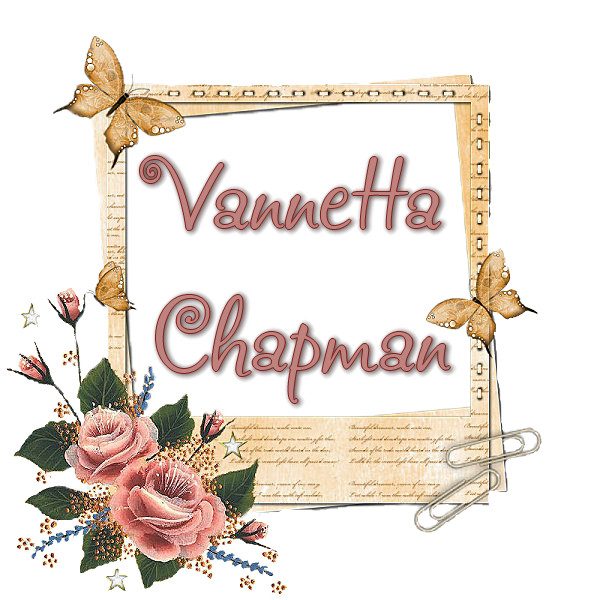 Head on over to Inspirational Authors of Nashville… where there’s another giveaway going on for Vannetta Chapman! Would love to win one of Vanetta Chapmans books. I shared on Facebook and liked your post! Thanks for the chance to win a book! Hoping to win your book. I haven’t read one yet, but definitely planning to after reading this interview. 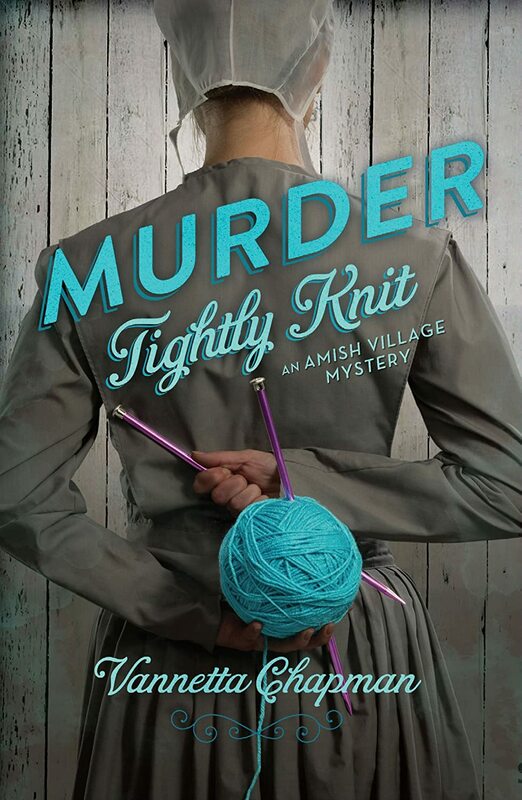 I would like a copy of her upcoming title in December, “Murder Tightly Knit”. VC is a great author and I would love to win Hidden. Thank you for the opportunity. Thanks for your comments. I’m so glad you all enjoyed the interview! Great post. Glad I found this blog. Great post.I love Vannettas’ books.She is one of my favorite authors.Thanks for sharing with us.